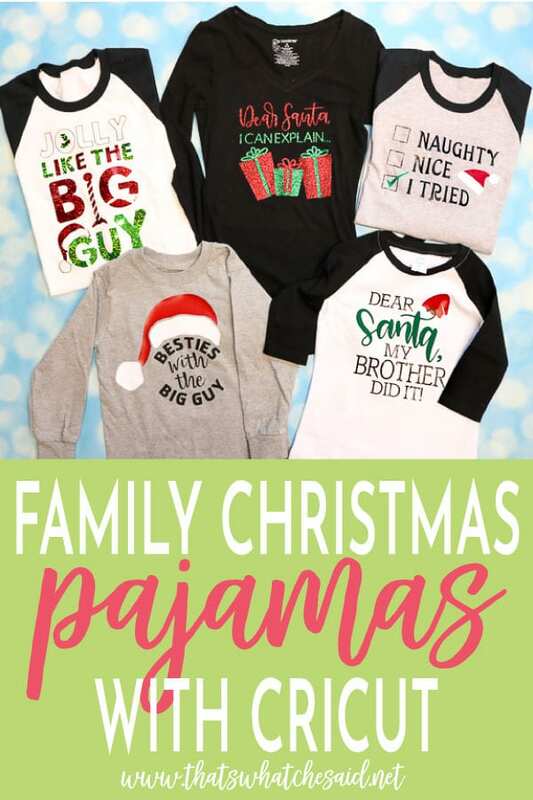 Whether you like the entire family to match in Christmas pajamas or you make each person’s personalized, these Family Christmas Pajamas made with my Cricut machine will have you covered! This post may contain affiliate links. 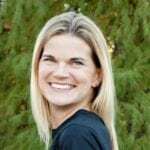 Using these links, I earn a small commission at no additional cost to you. 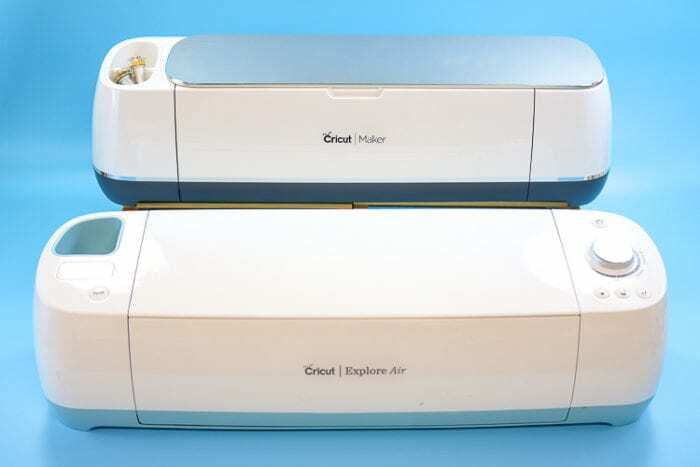 This post is sponsored by Cricut, however, all opinions are my own. I take any chance I can get to make my boys match! 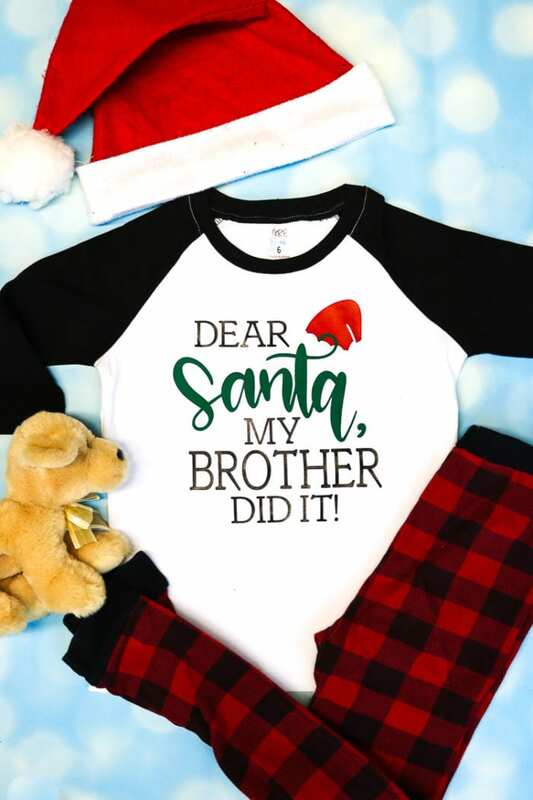 I know soon they will hate it and I am so close to my oldest starting to refuse but until then, we will match our Christmas Jammies! 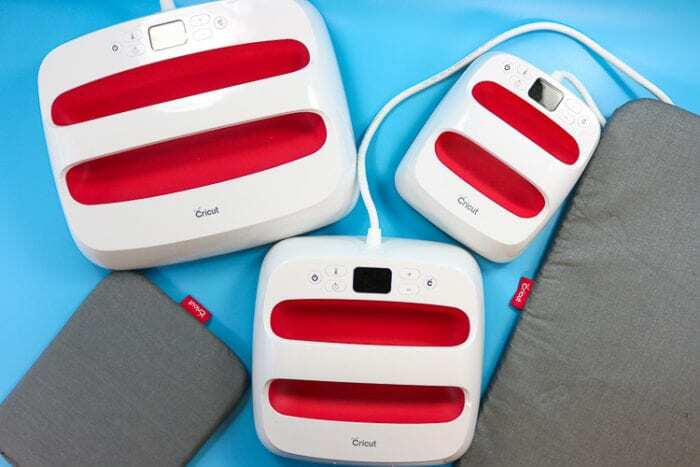 You can use your Explore or Maker machines for these designs! 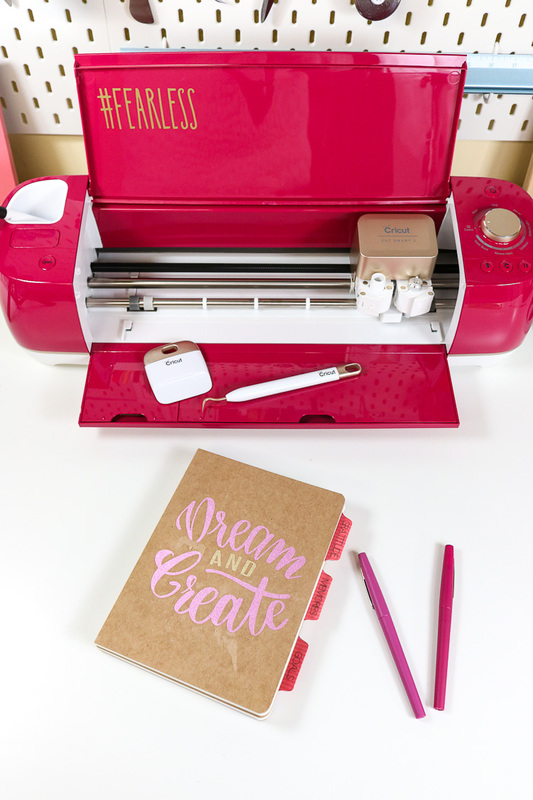 I am going to use my Maker today! When I am creating projects with several colors I like to make sure I have several mats to use! Cuts down on “production” time when you can weed a mat while another color of iron on is cutting! 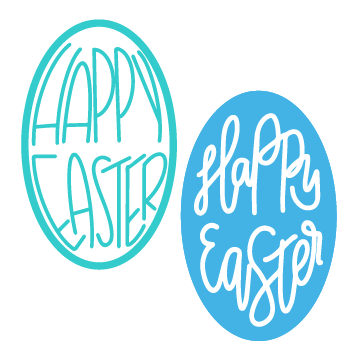 Since I am creating for the entire family I am using my entire family of EasyPress 2 machines and mats! 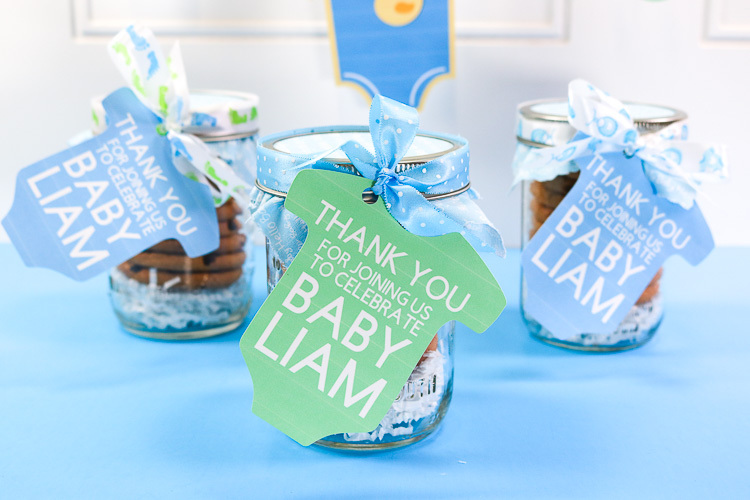 The small 6×7 inch is perfect for onesies and sleepers. 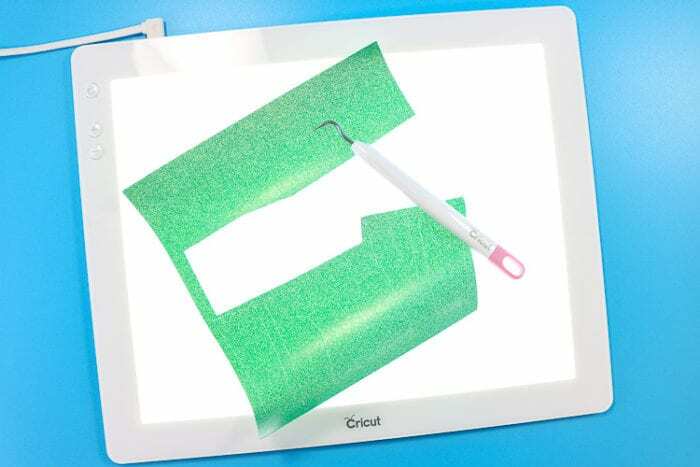 The medium 9×9 inch is awesome for children’s shirts or designs on the pajama bottoms. The large 12×10 is awesome for the adult shirts! Presses the entire design in 1 pass! 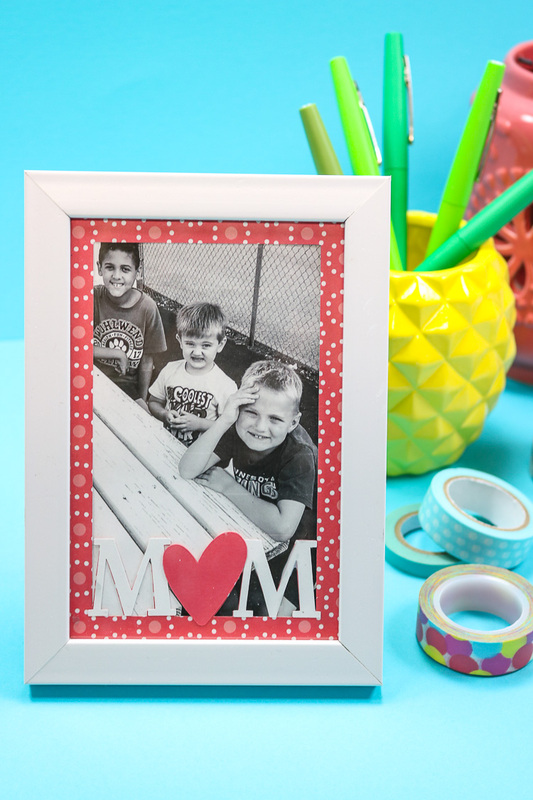 I also love to use glitter iron on when I can, because as a boy mom, I need to add all the sparkle I can to my life! 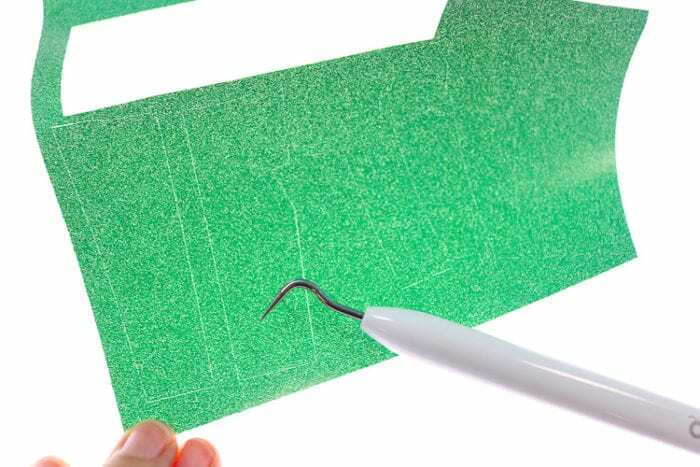 Using a BrightPad makes weeding glitter iron on so much easier! That and the weeding hook are the perfect combinations! Can you see how it makes the cut lines clearer to see so weeding isn’t as difficult? 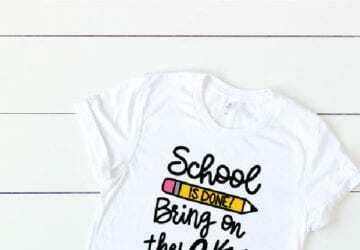 If you are new to Iron on you might want to check out my detailed posts on How to Cut Iron On with a Cricut and How to Correctly Apply Iron on. I also bookmark this EasyPress Recommended Settings page so that I can refer to it quickly as I change shirt materials and iron on materials! 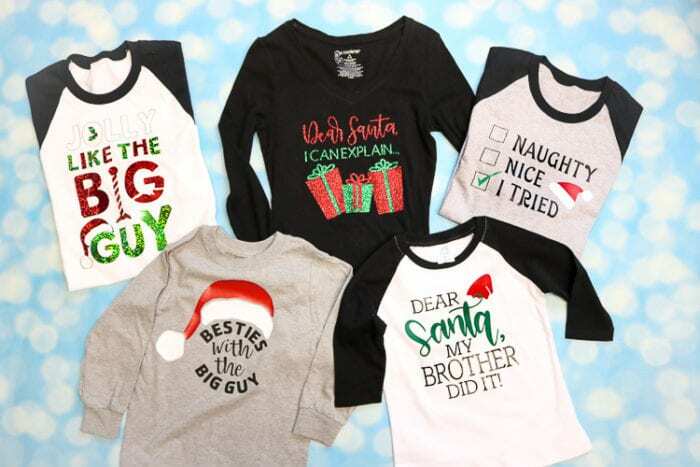 All of the Cricut Design Space designs I used for these Holiday Christmas Pajama Designs are a part of Cricut Access! 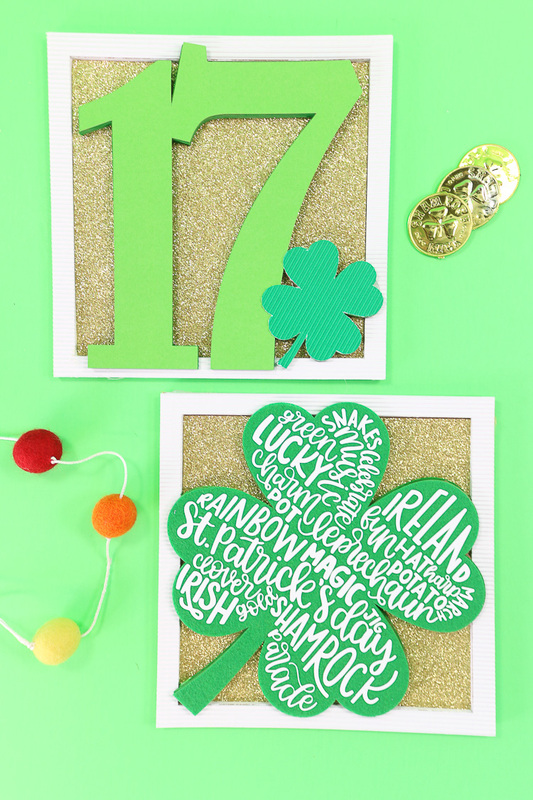 An easy monthly membership and you get to use as many designs as you need for your creations that have the little “a” on them. 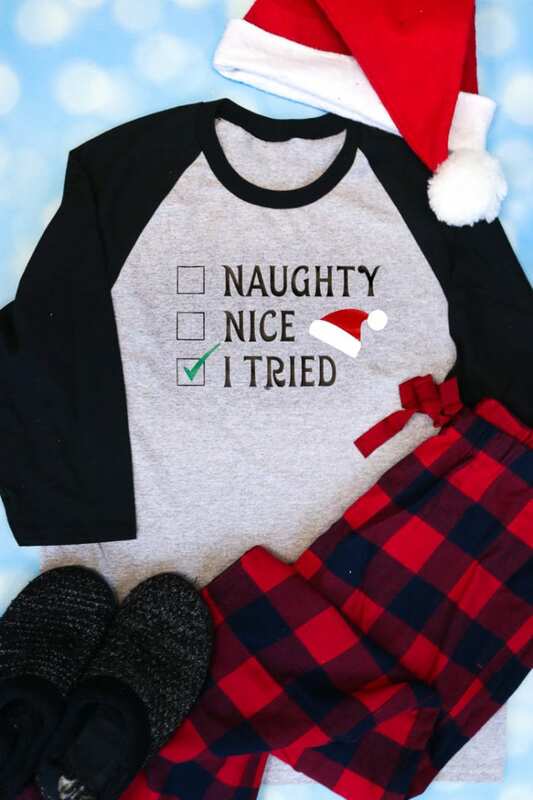 The first Christmas PJ design I am sharing is perfect for the kids in your family! 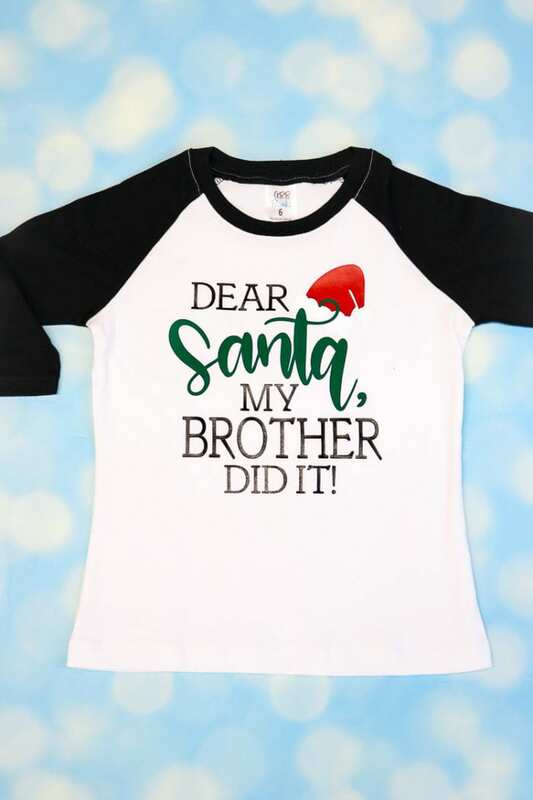 I have included a layer for Brother and a separate later for Sister so depending on your needs you simply make one hidden and the other visible! 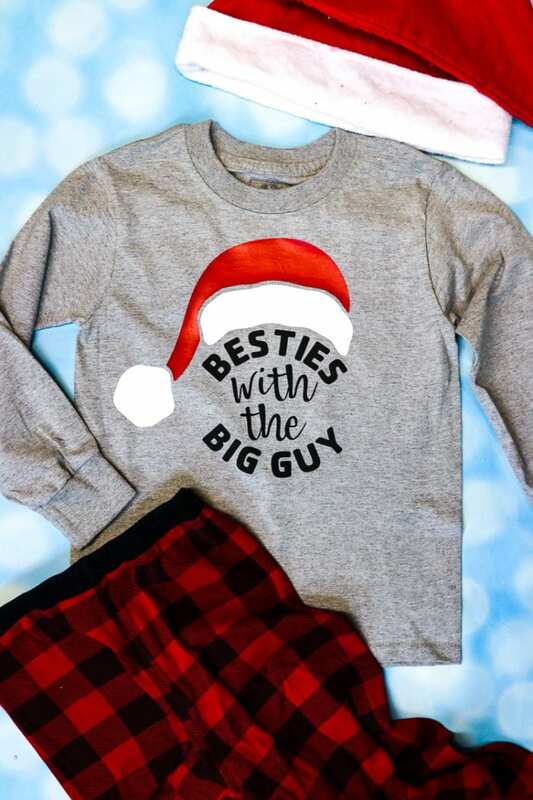 Are you Besties with the Big Guy? 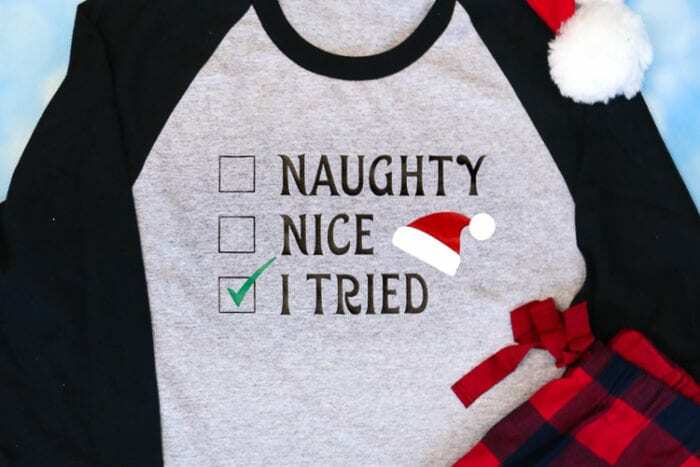 This design is fun for any family member! Who doesn’t want to be BFF’s with a guy who has flying reindeer and eats cookies all day long? 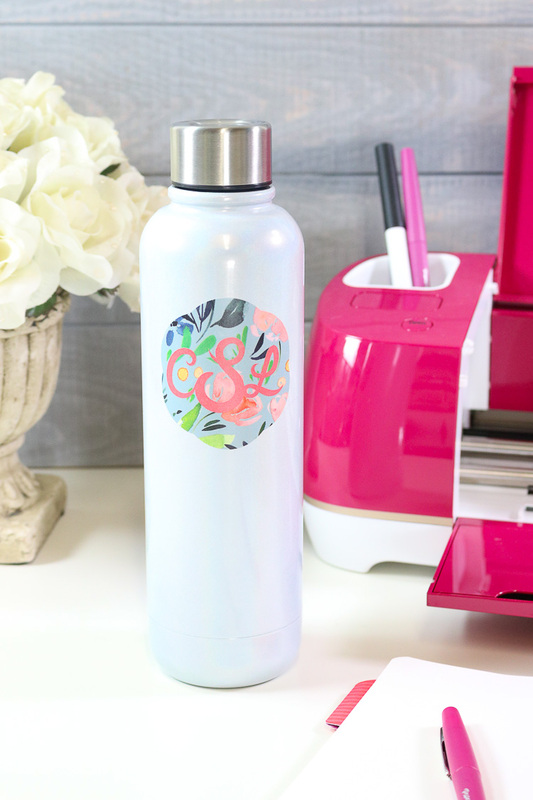 Glitter iron on looks great for this design! 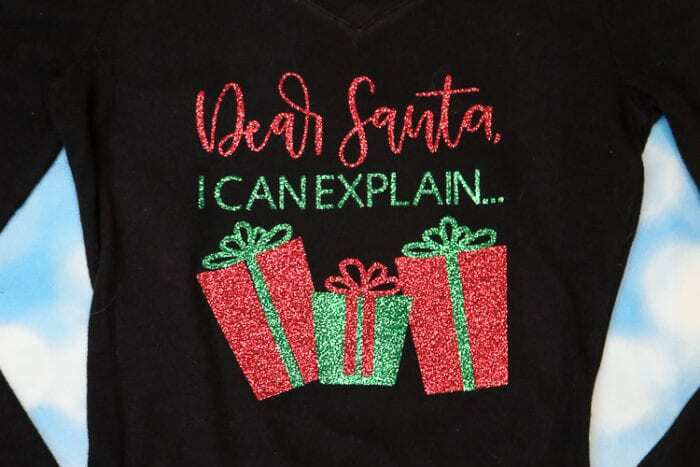 Be sure to SLICE the design because it is not recommended to layer glitter iron on! 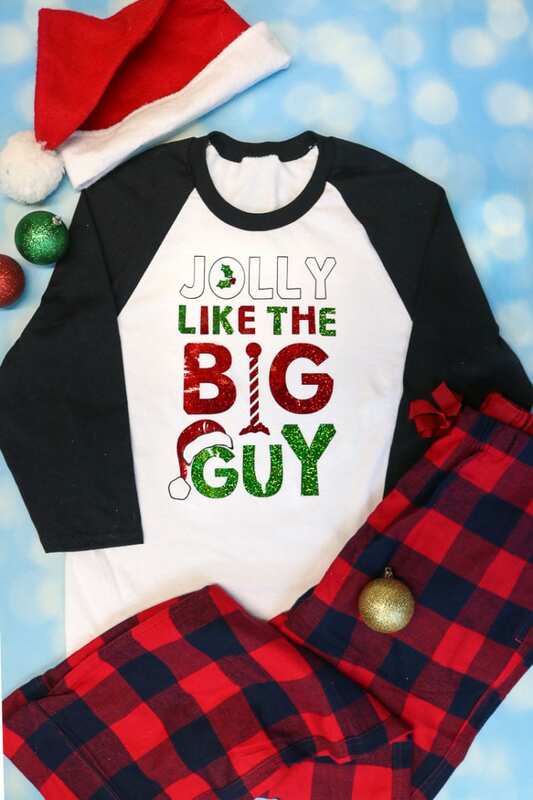 If Christmas time is your favorite this Jolly like the Big Guy Shirt is perfect for you! Mix and match your colors!! I used holographic sparkle iron on here and I LOVE how it looks! 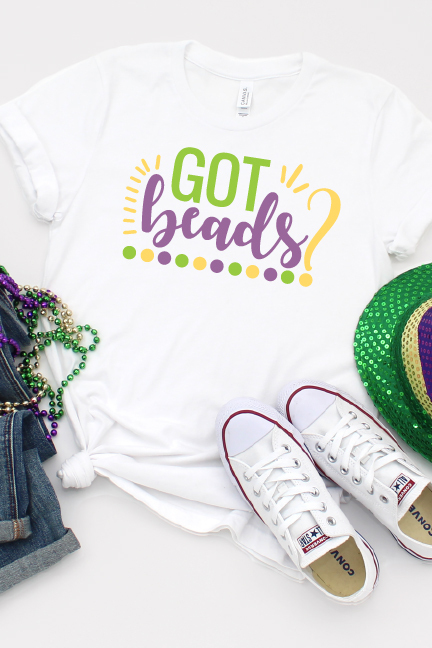 This design also has a black outline or white letters! So when you put it on a white shirt, the black outlines work wonderfully! Sending prayers for your children. Thanks so much for sharing these AWESOME files with us! Merry Christmas to you and yours! Thanks so much Cherie! You are welcome & Merry Christmas to you as well! 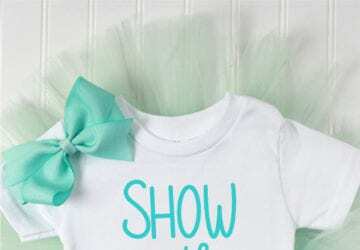 Can I download these designs for use with a Silhouette Cameo? 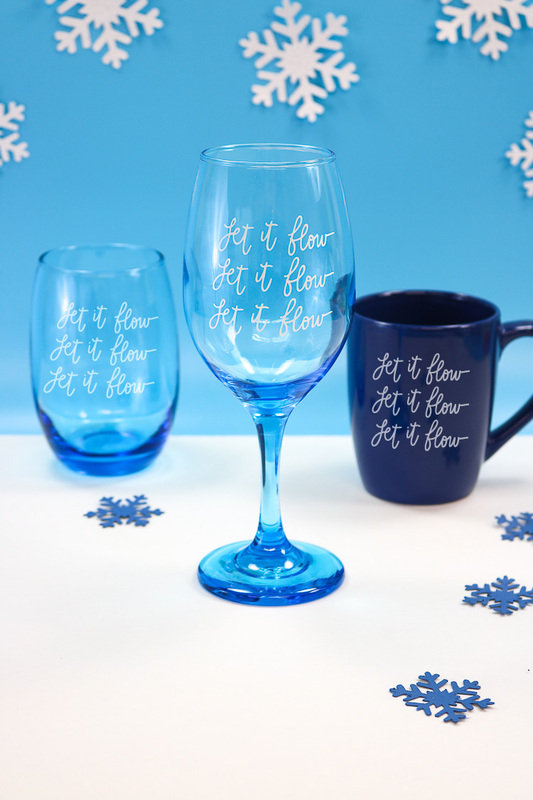 Hi Darlene, these designs are only for Cricut Design Space to use with a Cricut.